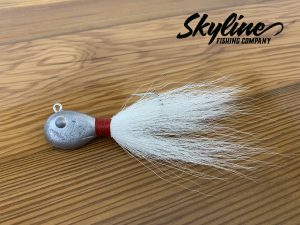 One strip of silicone that acts as a tail to entice a fish bite also referred to as a tentacle. Colors will vary. 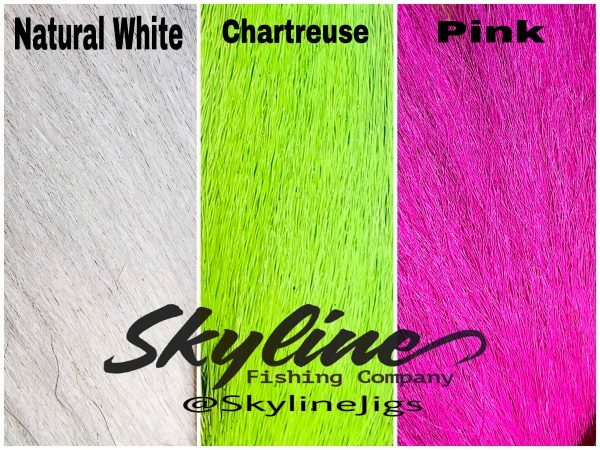 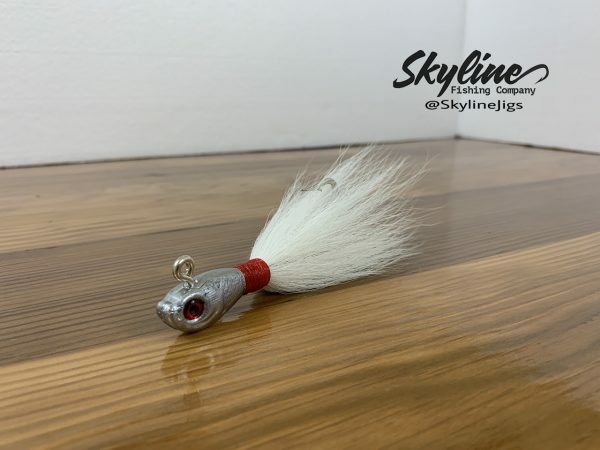 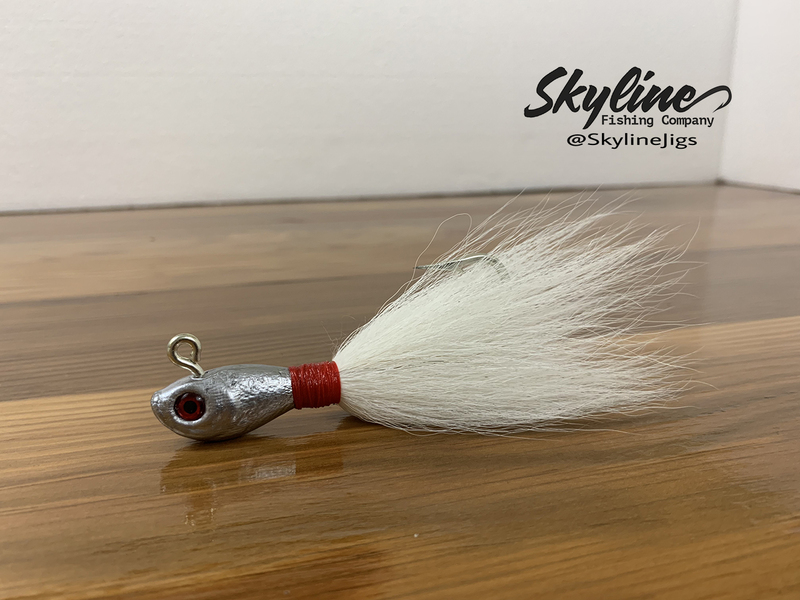 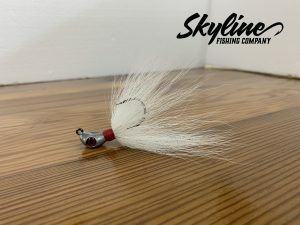 The Skyline Bait Fish Bucktail Jig has the profile of a baitfish and has the body profile that is similar. 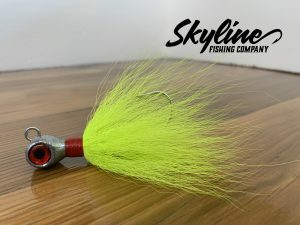 This jig moves through the water effortlessly.